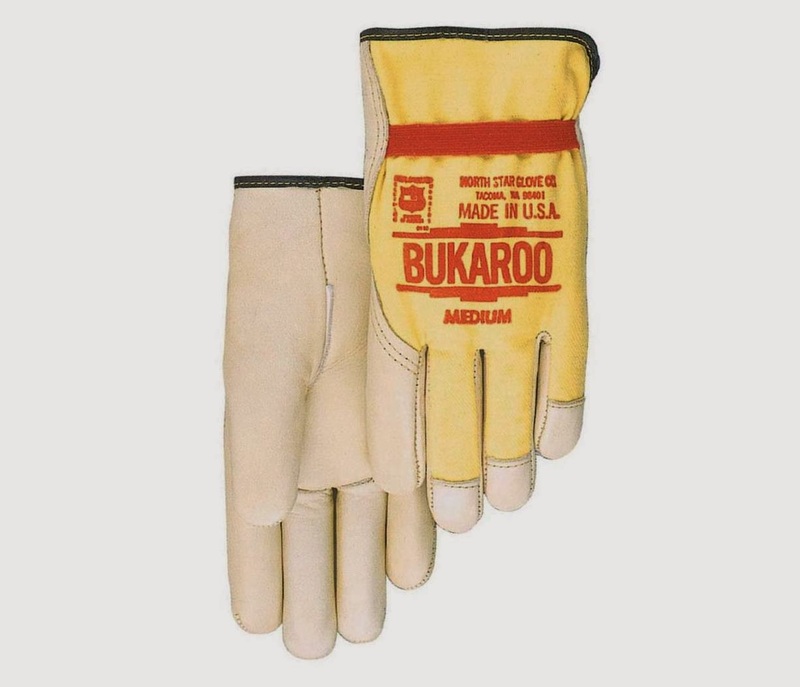 From North Star gloves in Washington state; leather palm/canvas back chore glove. Gunn pattern with wrap around index finger (see glove pattern explanations here), straight thumb. Great graphic. $16 via Bailey's.